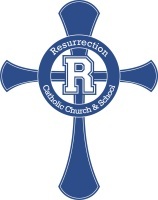 Adults, come learn more about your Catholic Faith! In, Lectio: Eucharist acclaimed author and teacher Dr. Brant Pitre digs down into the biblical roots of the Eucharist. Located in the Conference room, enter through the new parish office. En la escuela intermedia, en la sala de clase 7b.